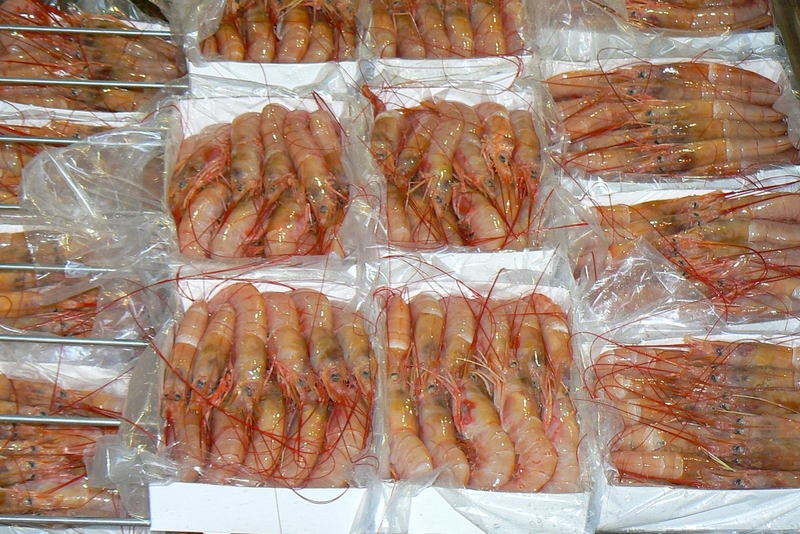 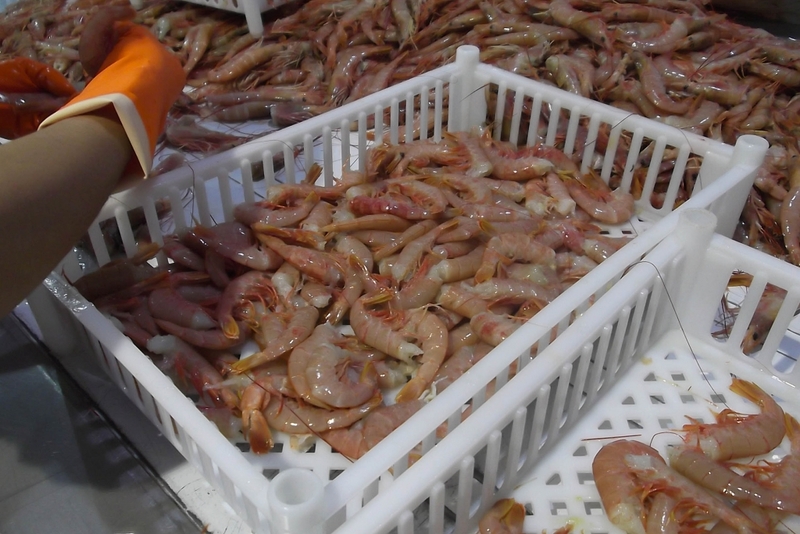 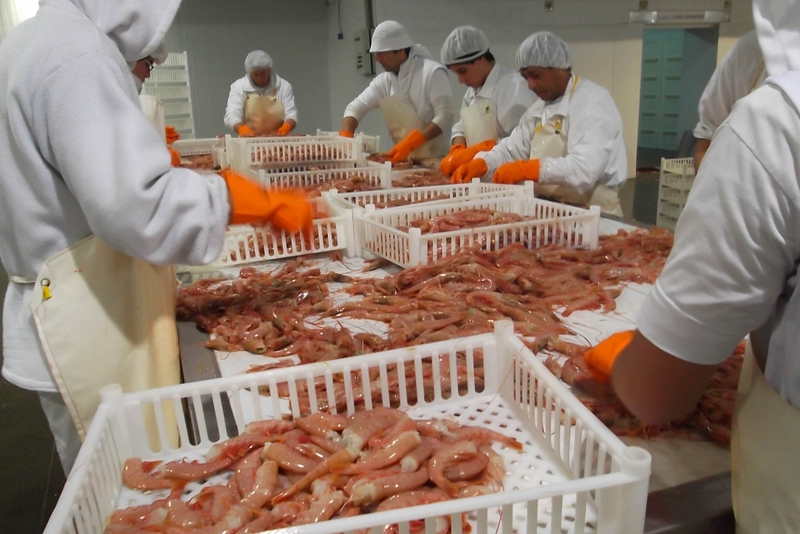 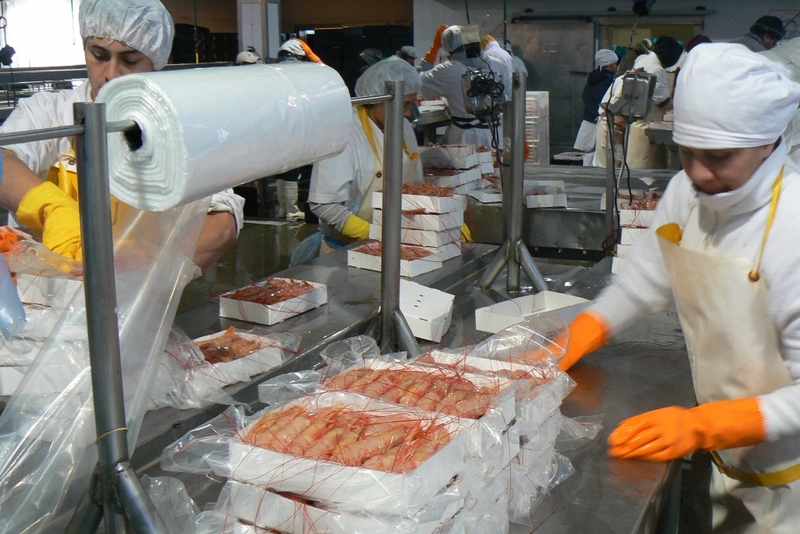 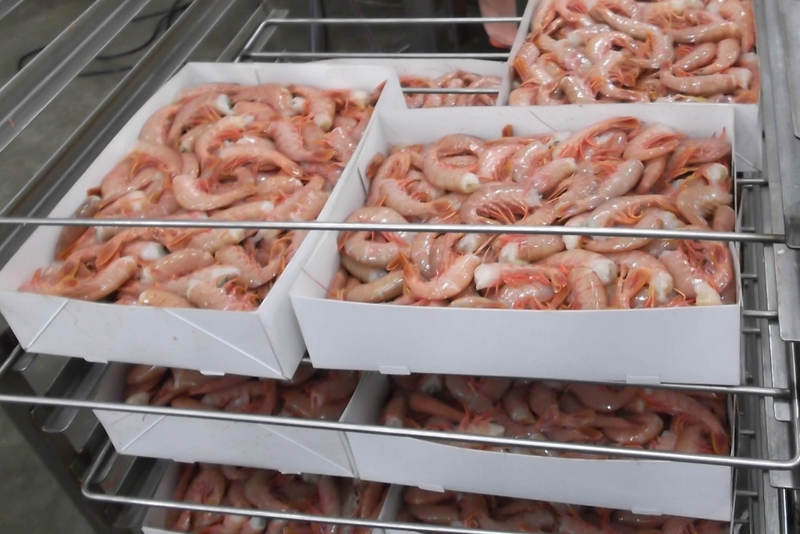 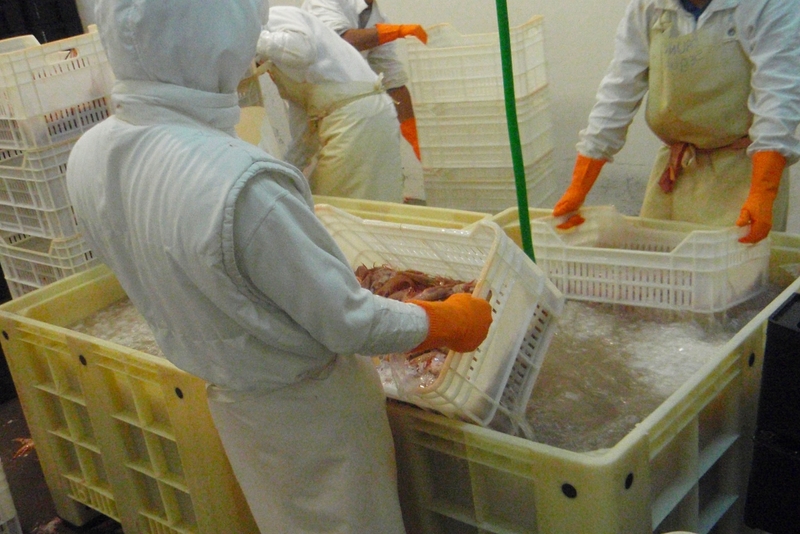 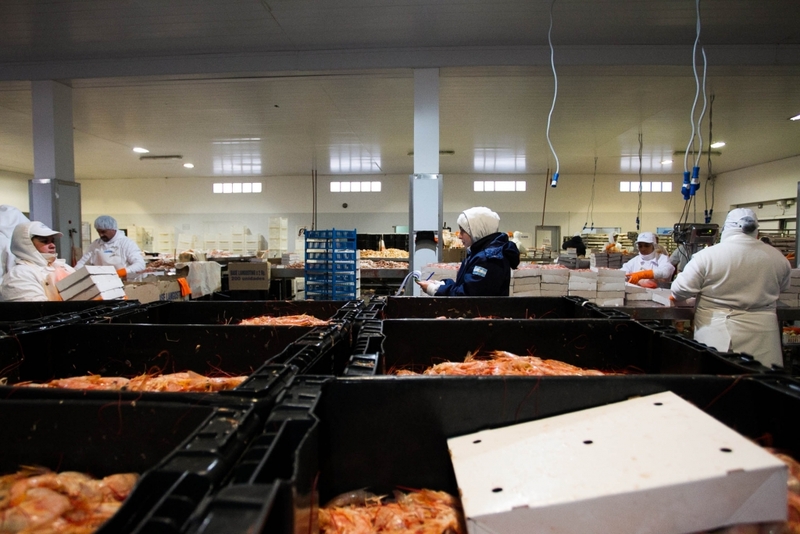 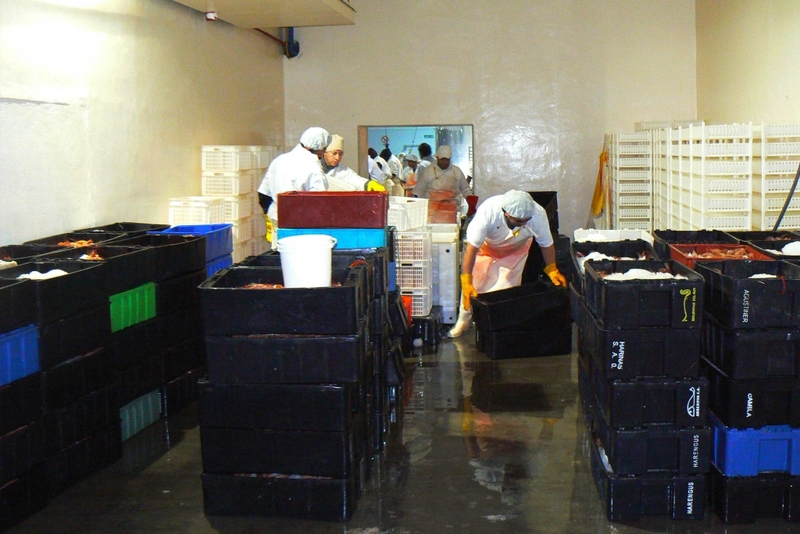 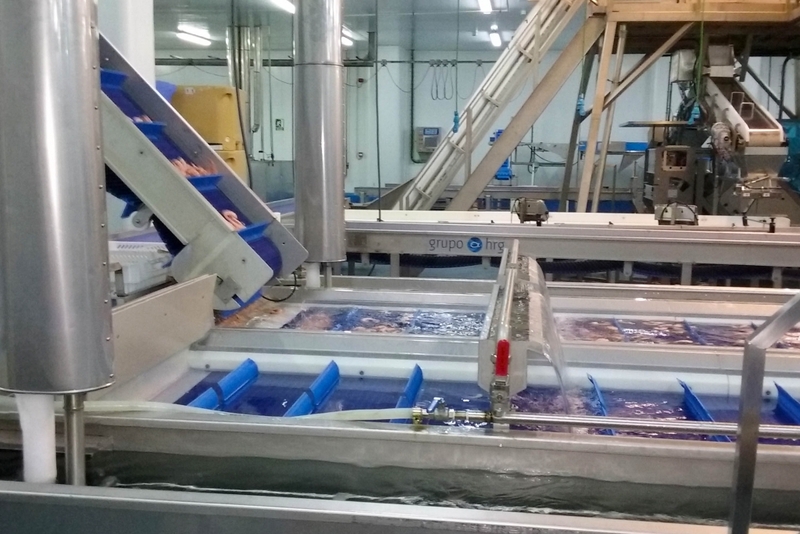 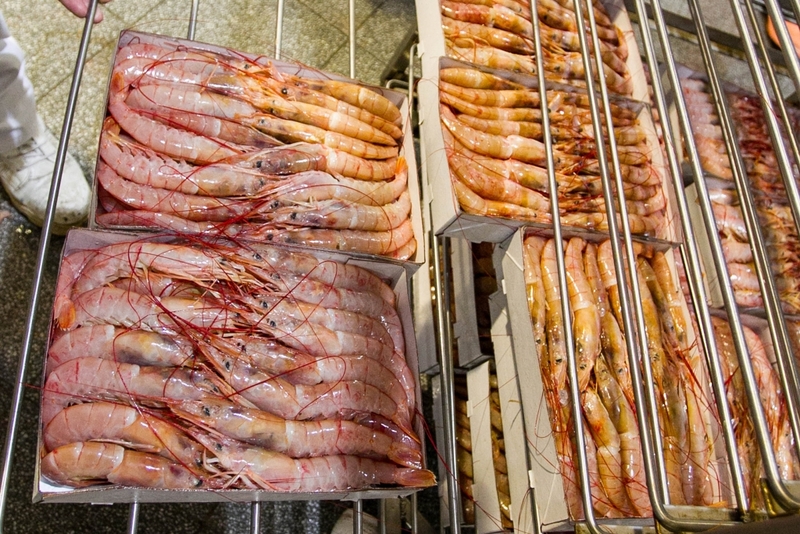 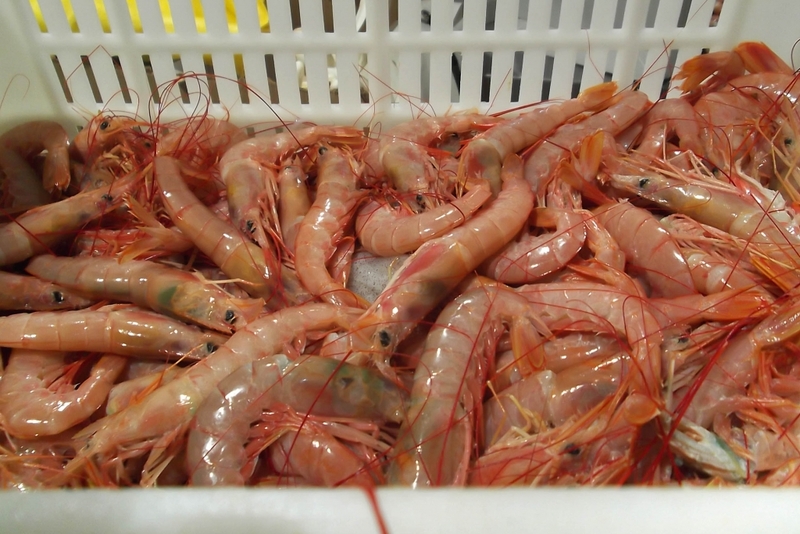 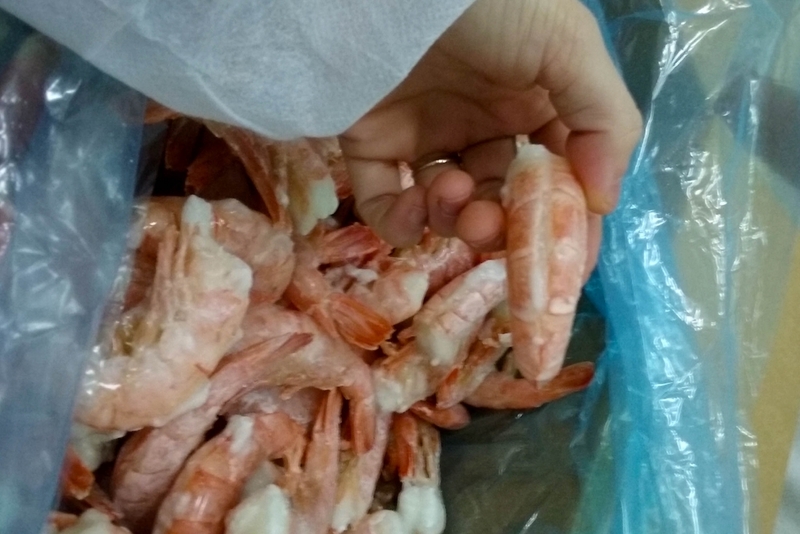 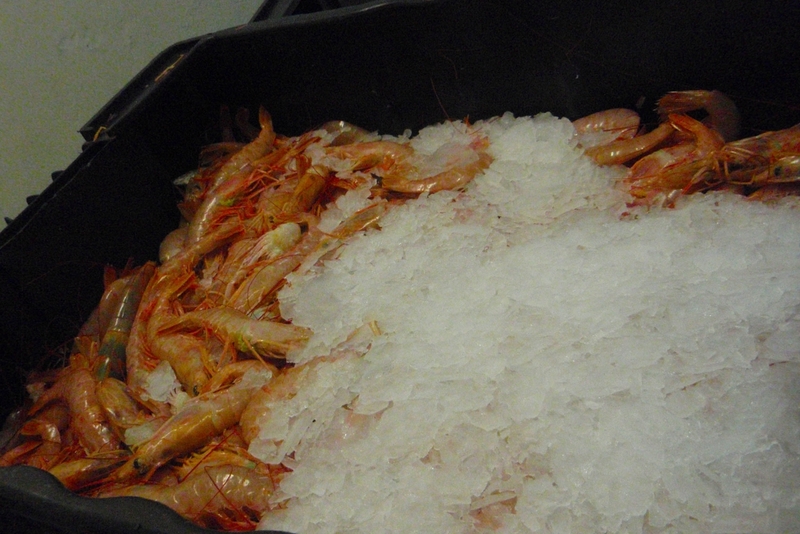 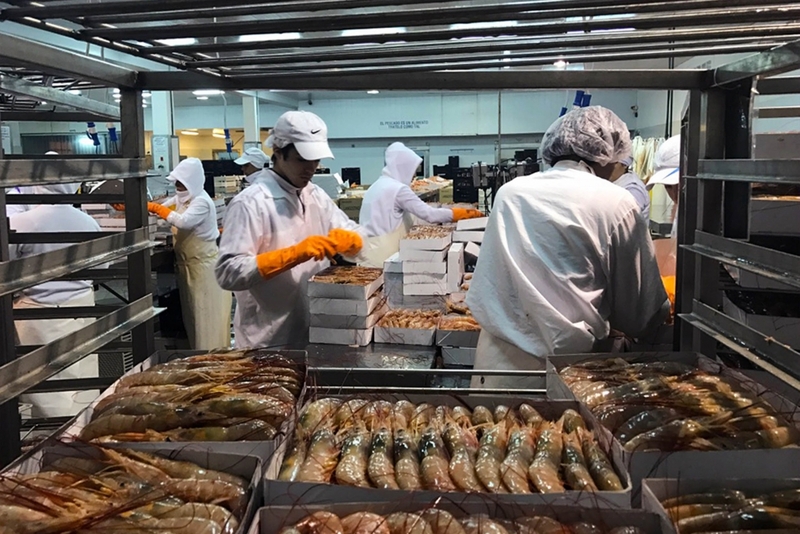 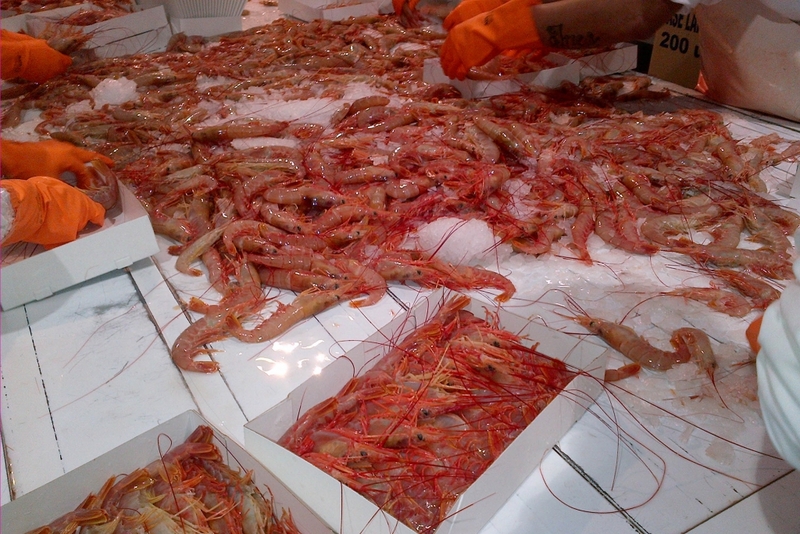 In Argentina the products are captured daily with our coastal fishing vessels and destined to our processing plant located in the same port of Rawson, which ensures a quick arrival of the product to be processed, to the plant, following the strictest quality standards. Our Rawson plant is equipped with state-of-the-art technology, which guarantees the quality standards required by the most demanding markets in the world. 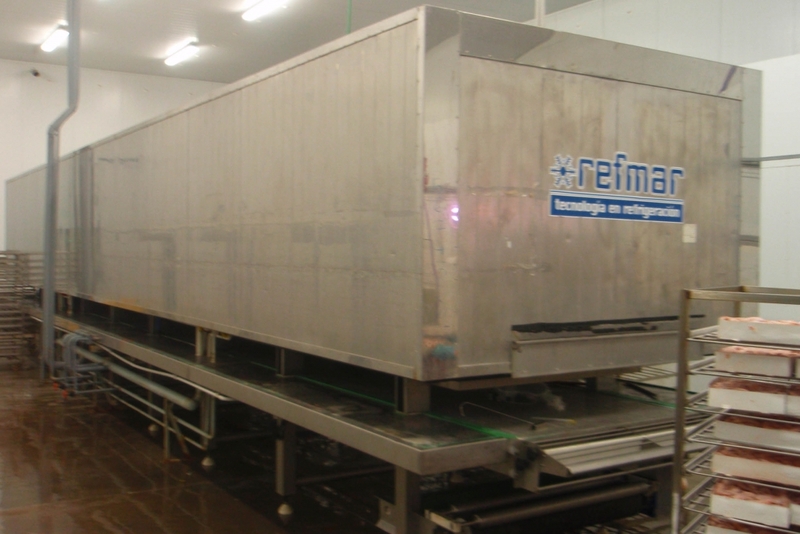 It also produces its own liquid and flake ices. 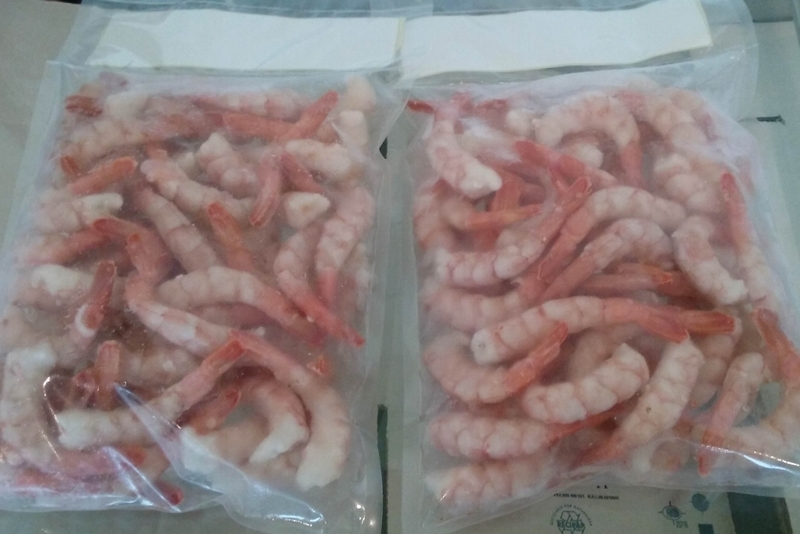 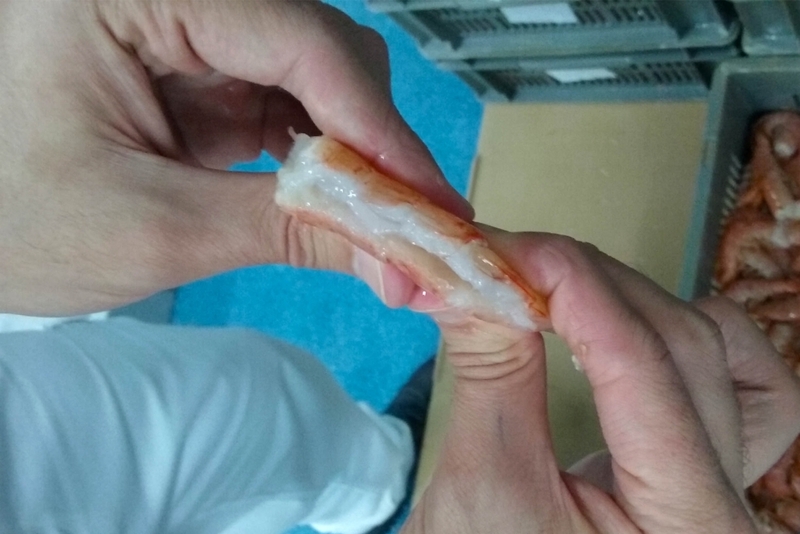 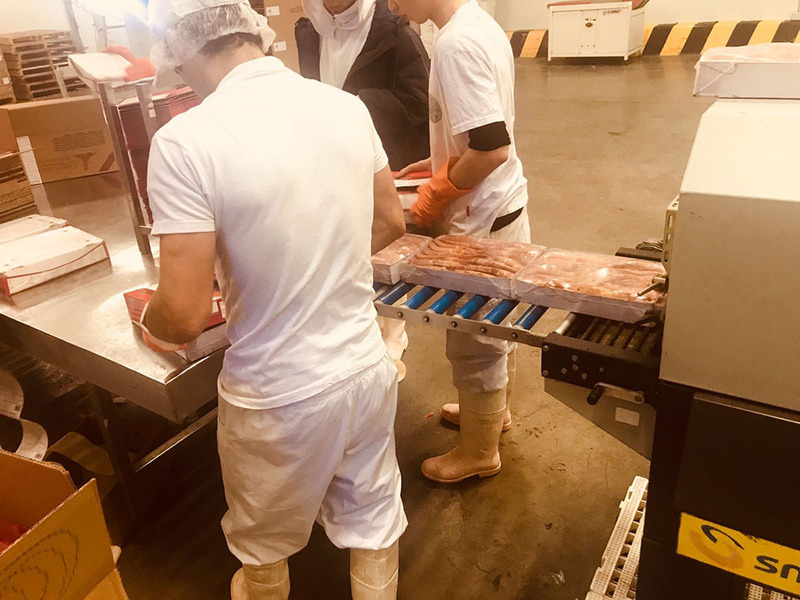 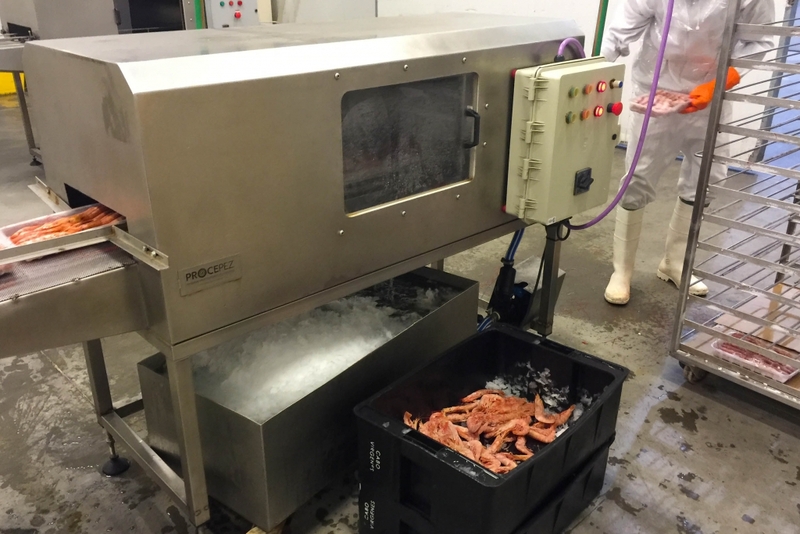 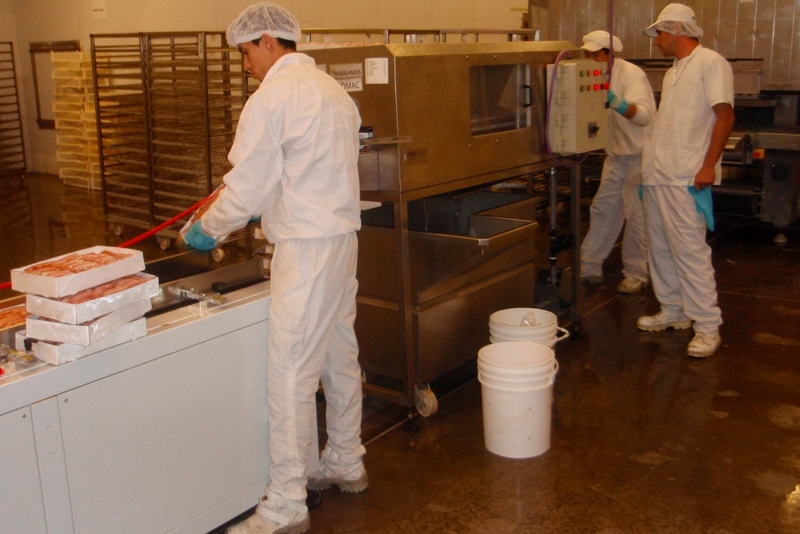 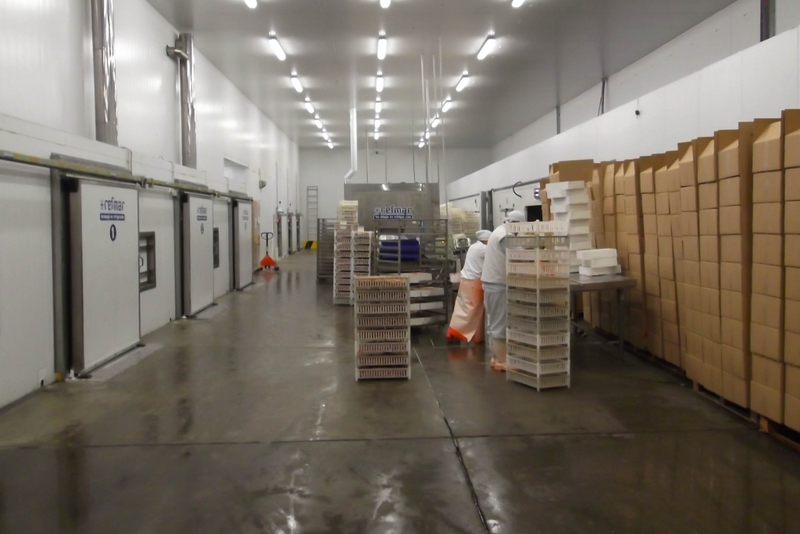 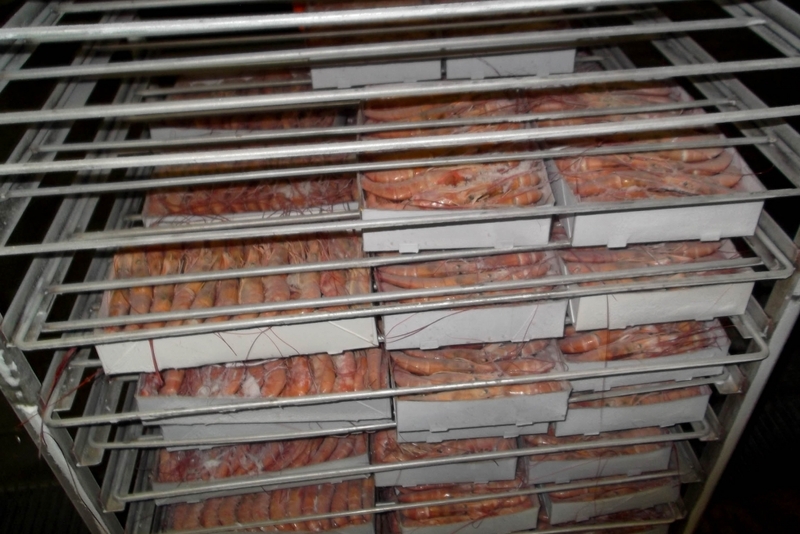 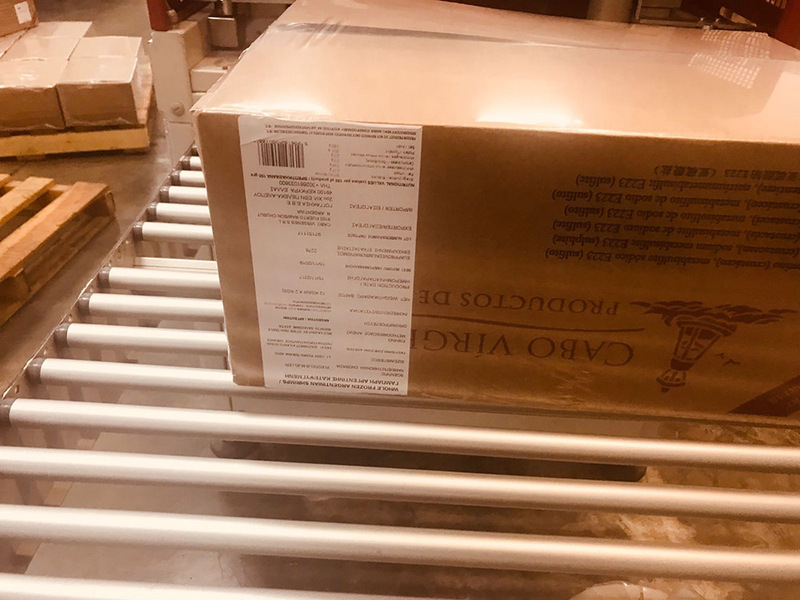 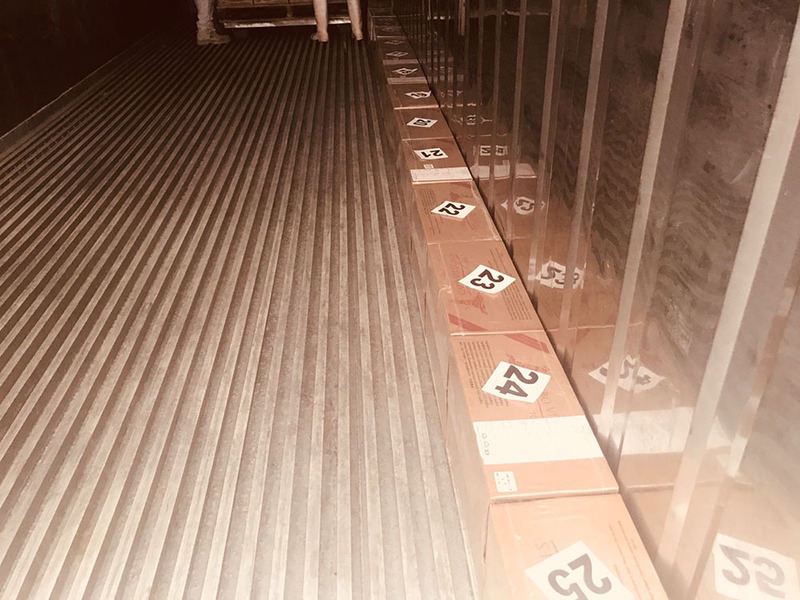 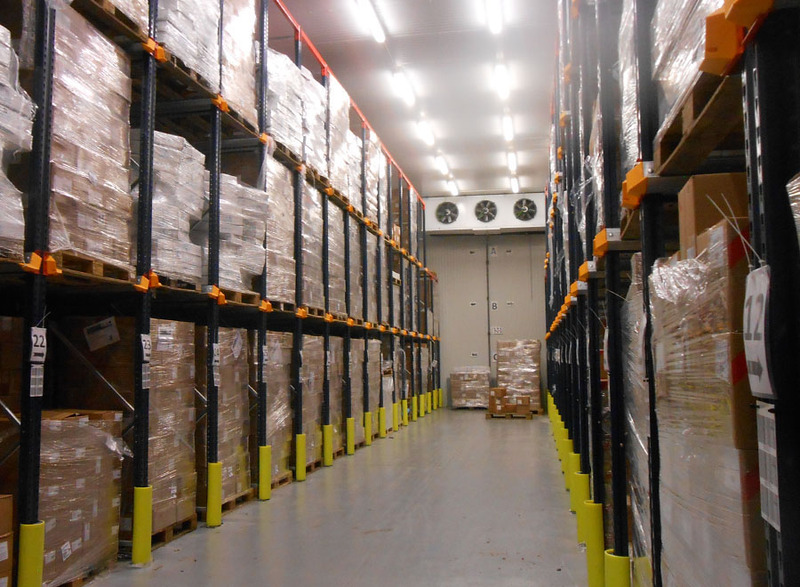 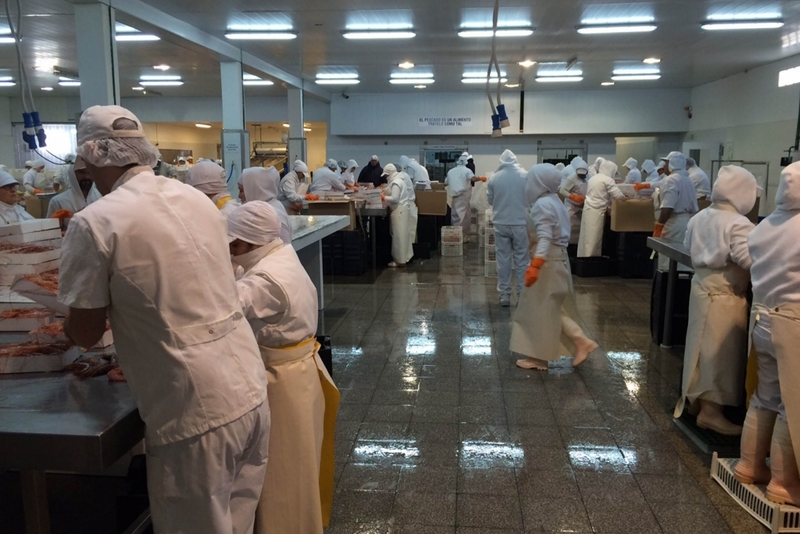 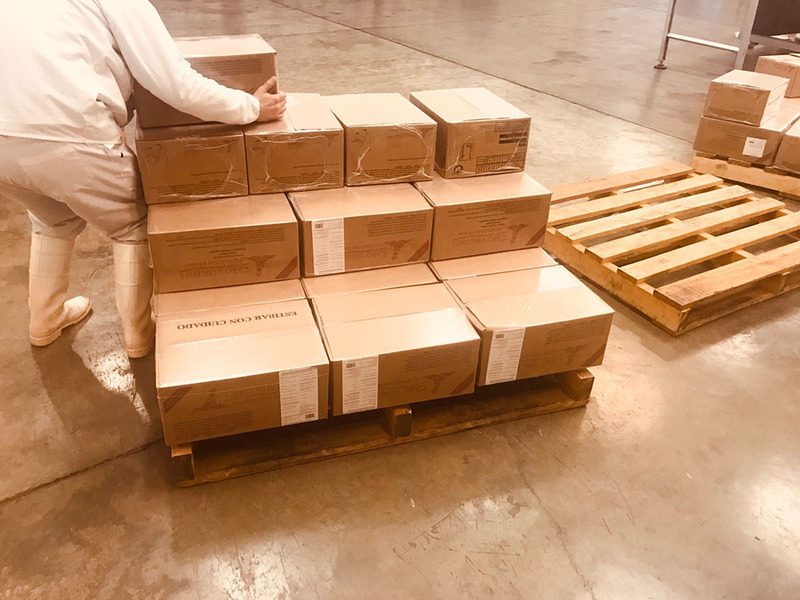 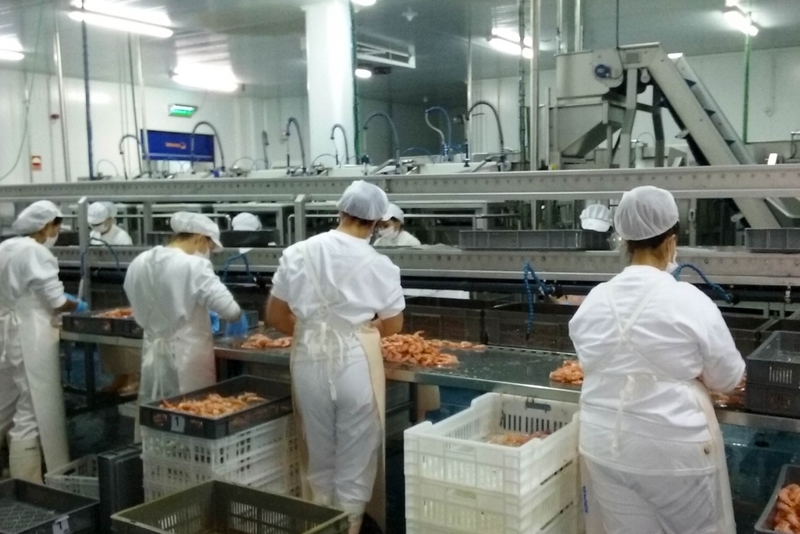 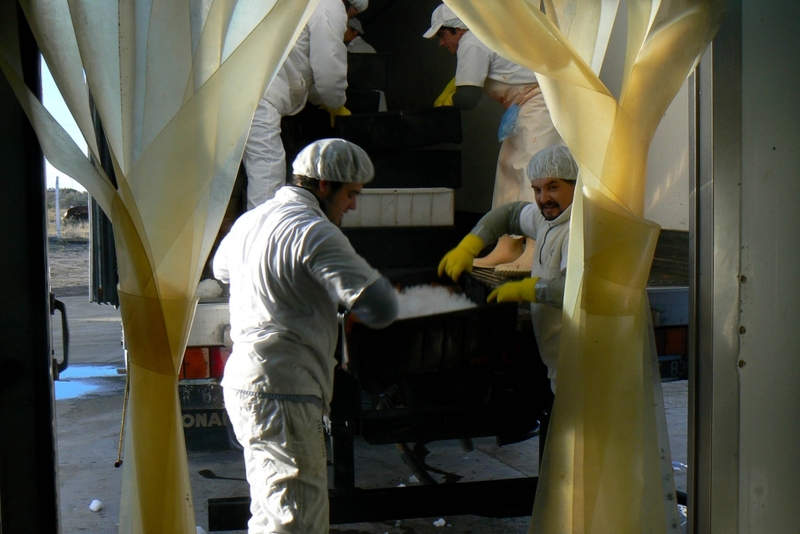 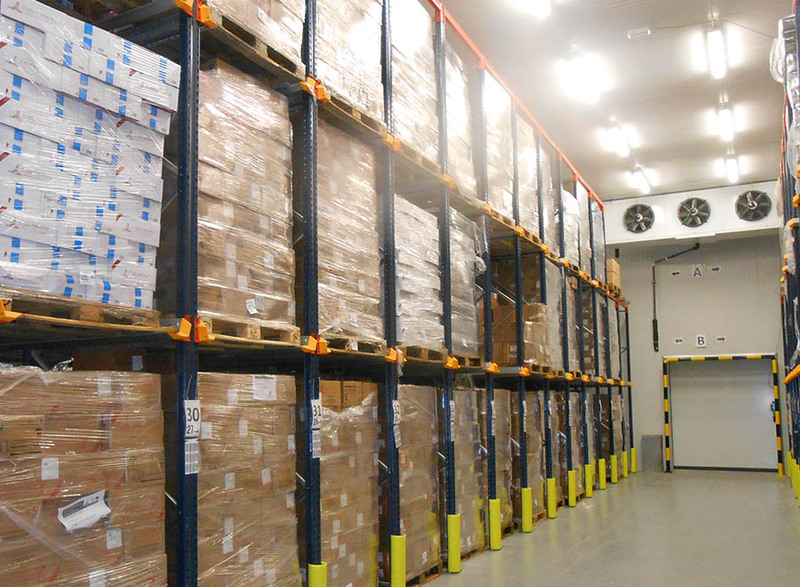 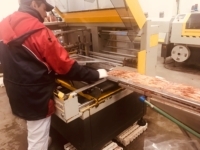 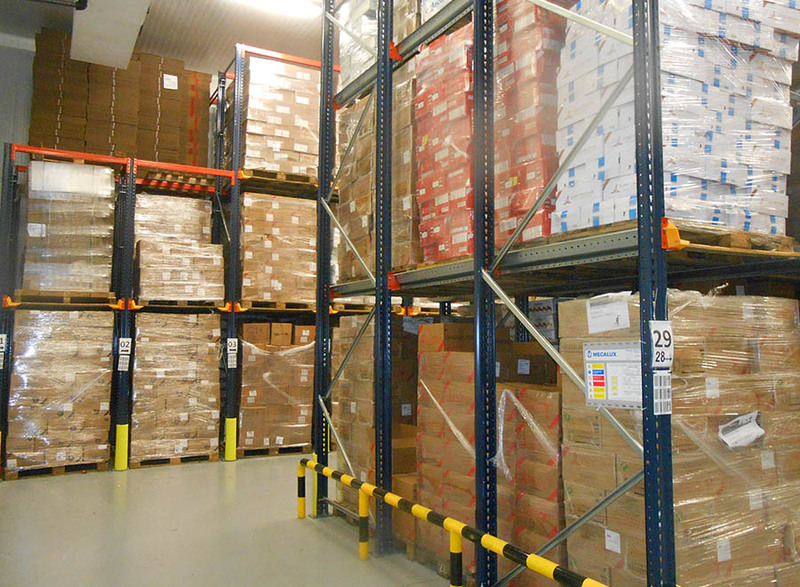 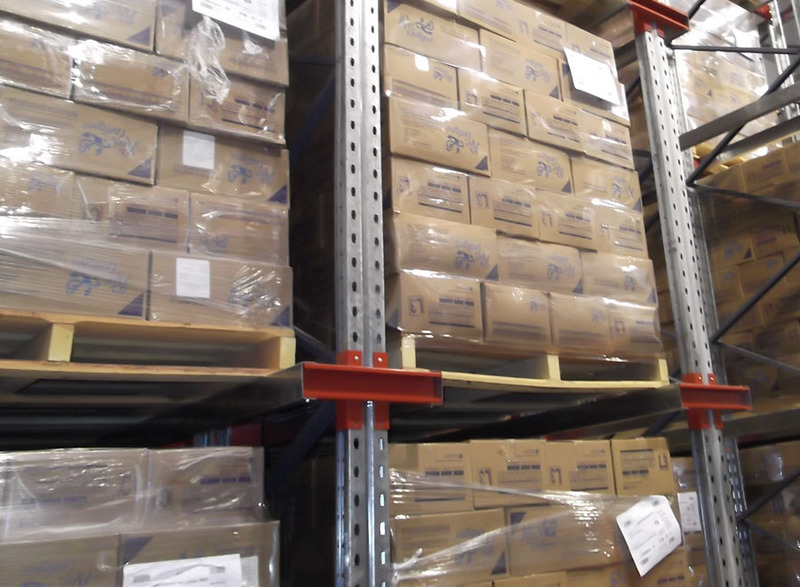 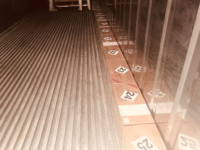 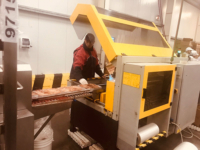 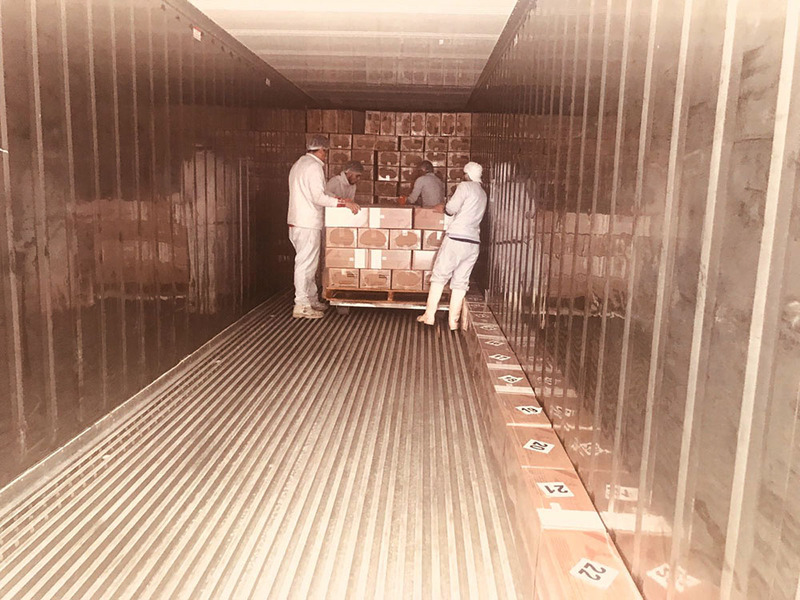 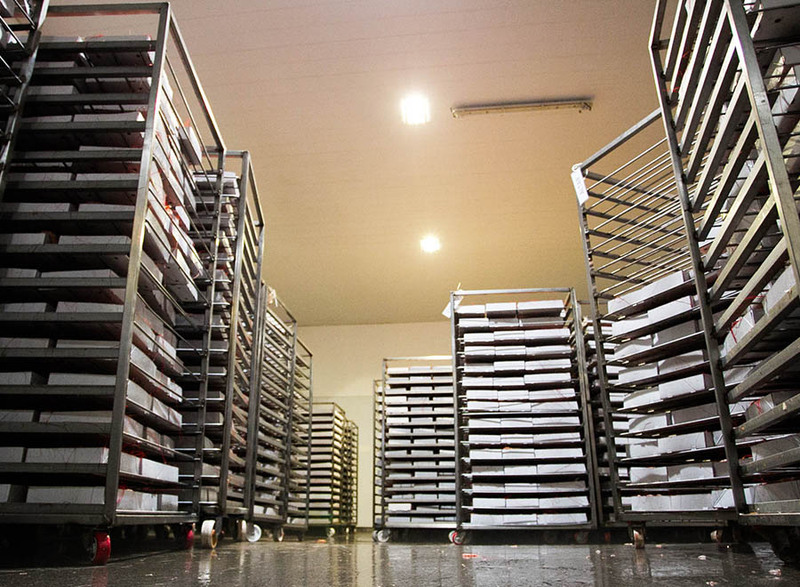 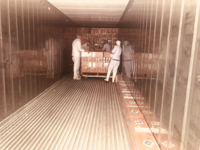 Careful logistics and methodology ensure the maintenance of the cold chain, keeping in this way the maximum quality of the products to their final destination. 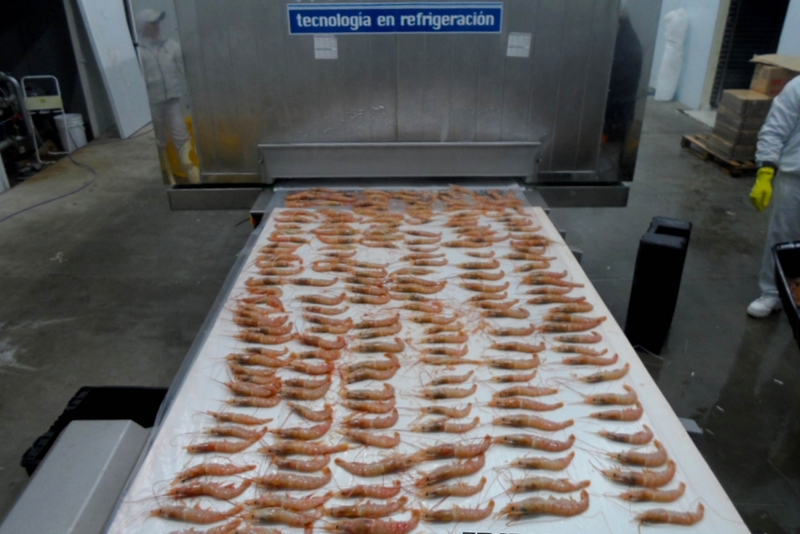 The investment carried out by Cabo Vírgenes in Spain for its new logistics center located in Palencia, with a production capacity of 4500 tonnes and an extension of 4,600 square meters, is a major breakthrough for the distribution in the European and export market. 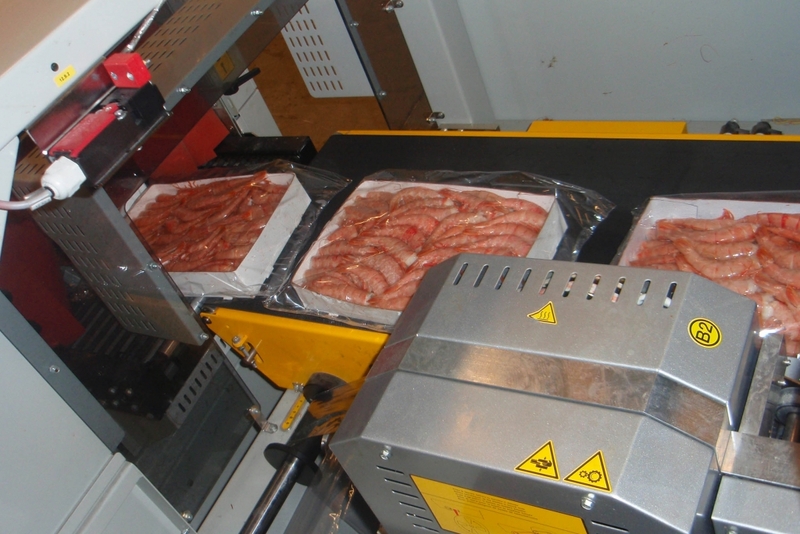 Last generation freezing tunnel for IQF and drying system. 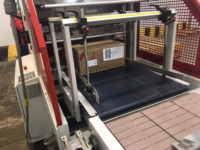 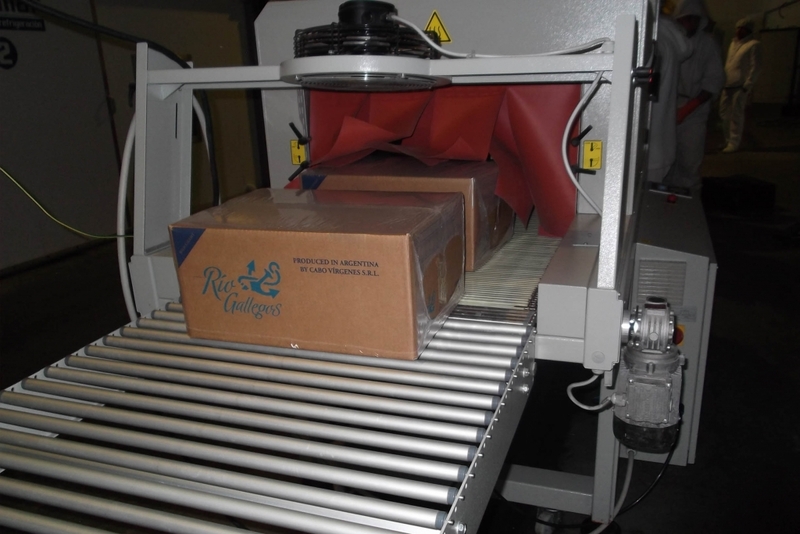 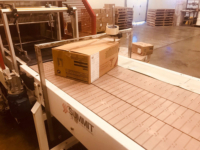 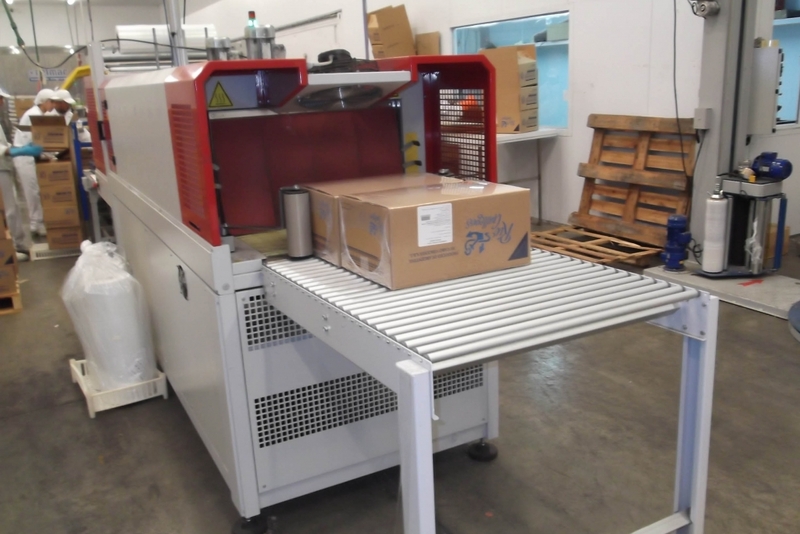 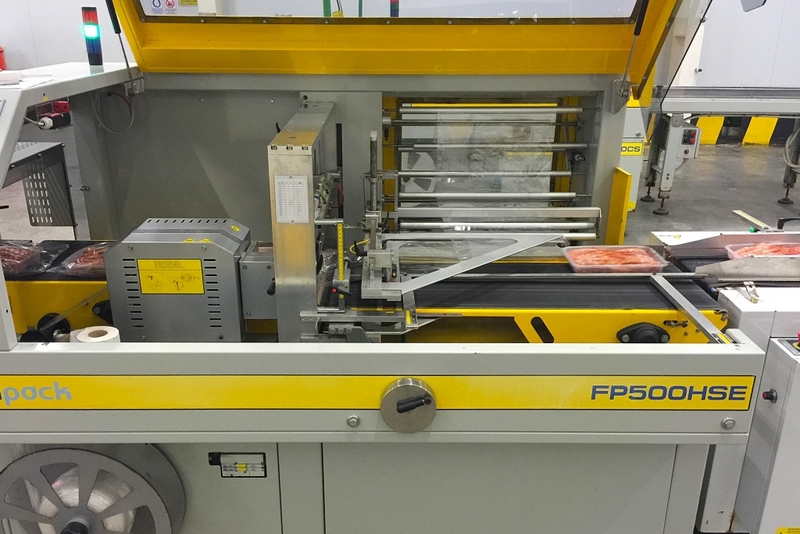 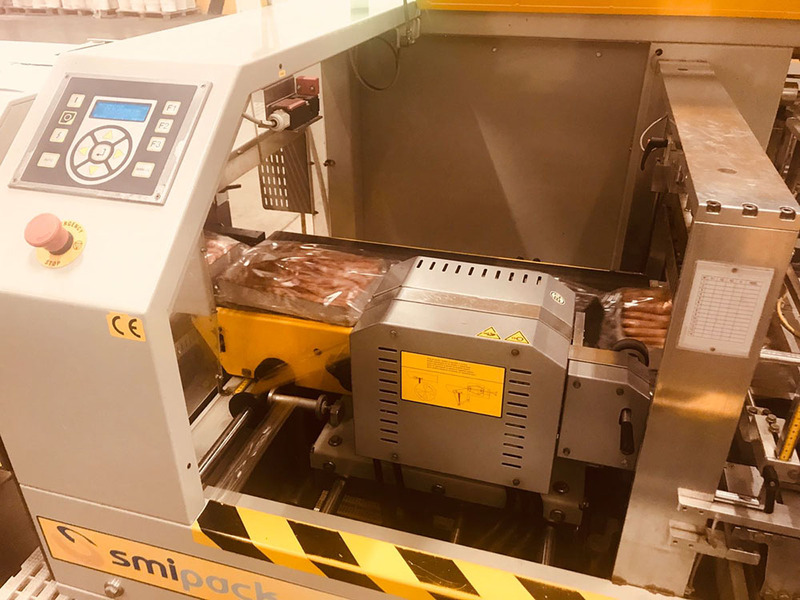 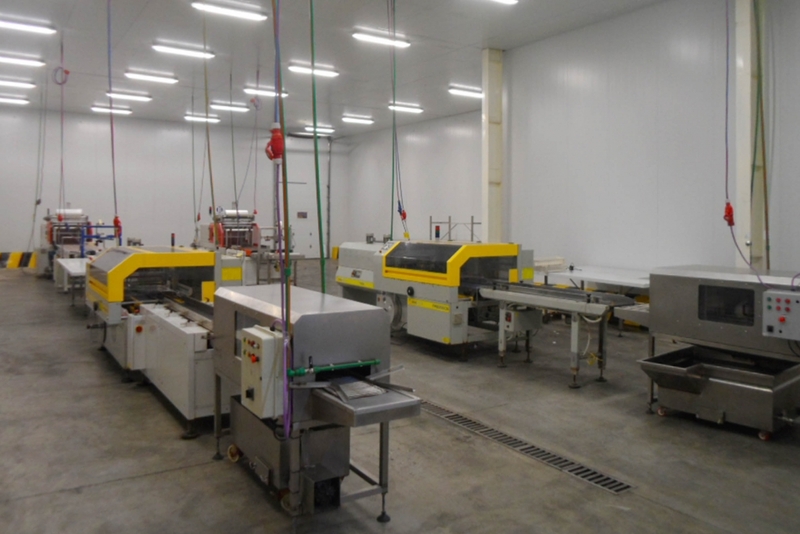 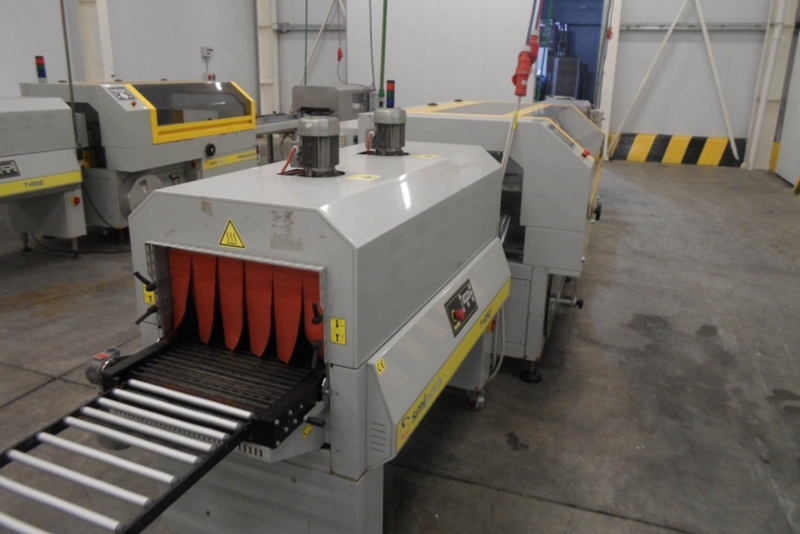 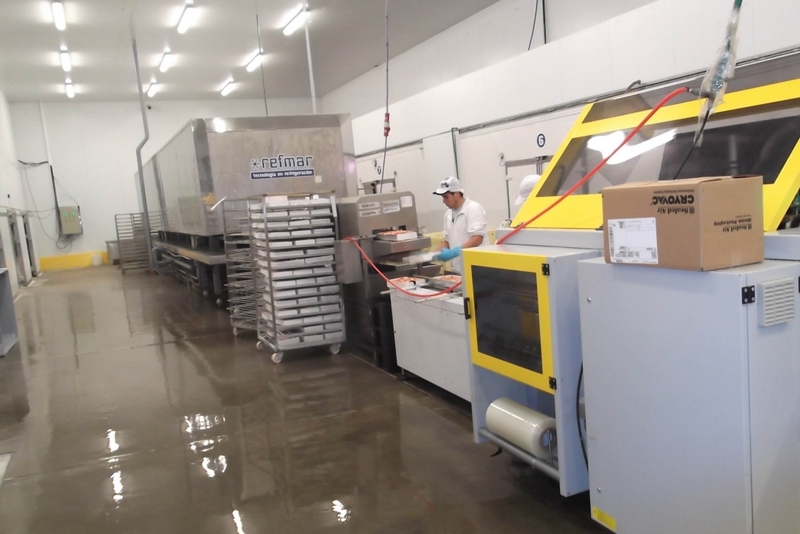 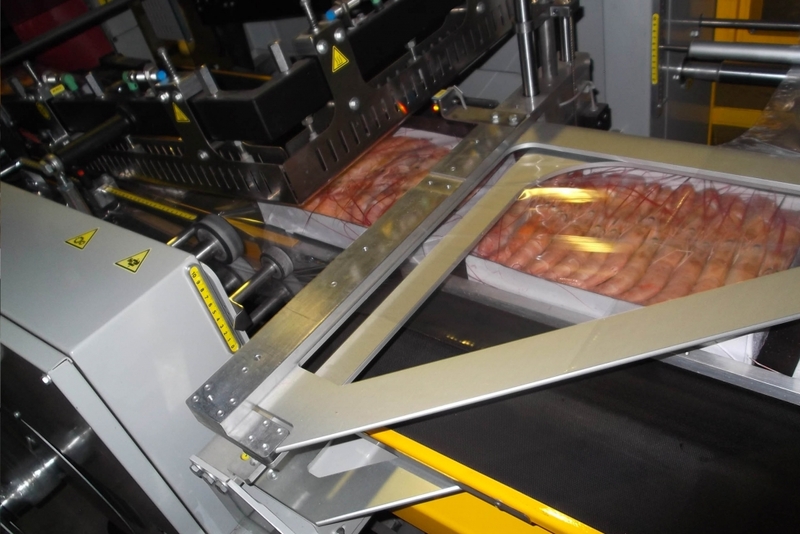 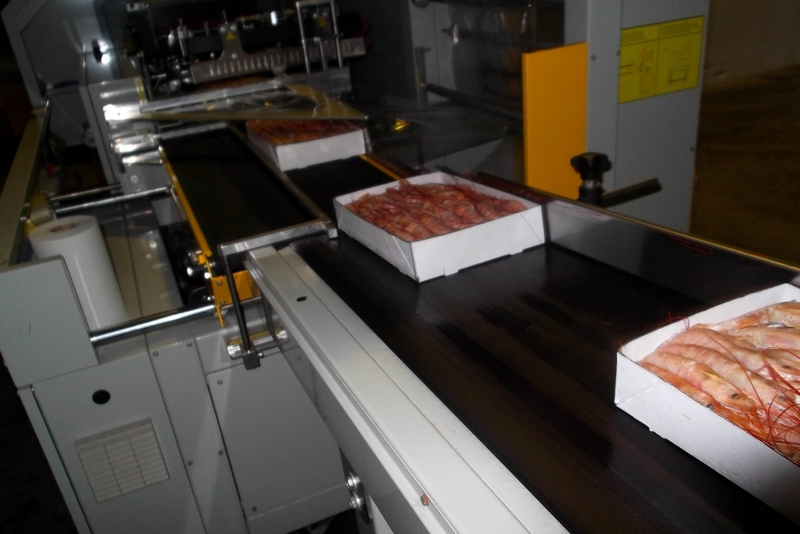 Shrink wrapping of inner packaging. 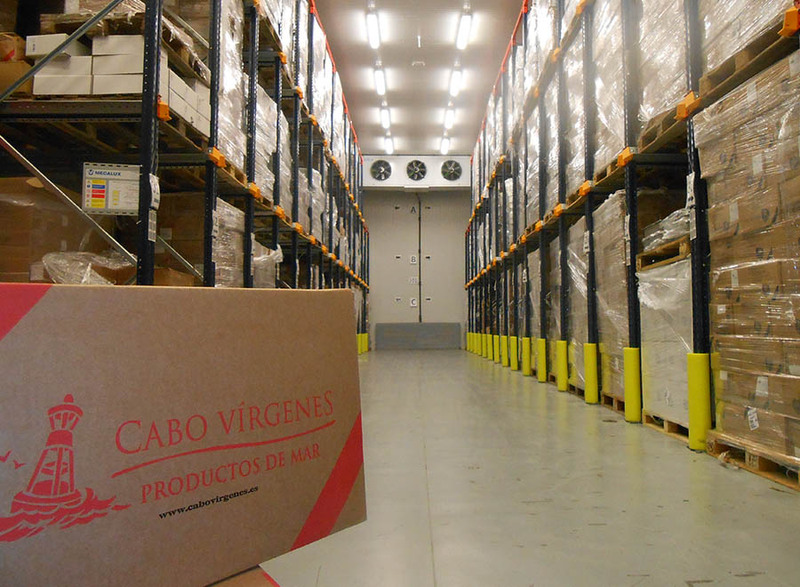 Cabo Virgenes has cold stores in both, Argentina and Spain, facilities that allow us to keep our products at -27ºC, with capacity for more than 5000 European pallets.